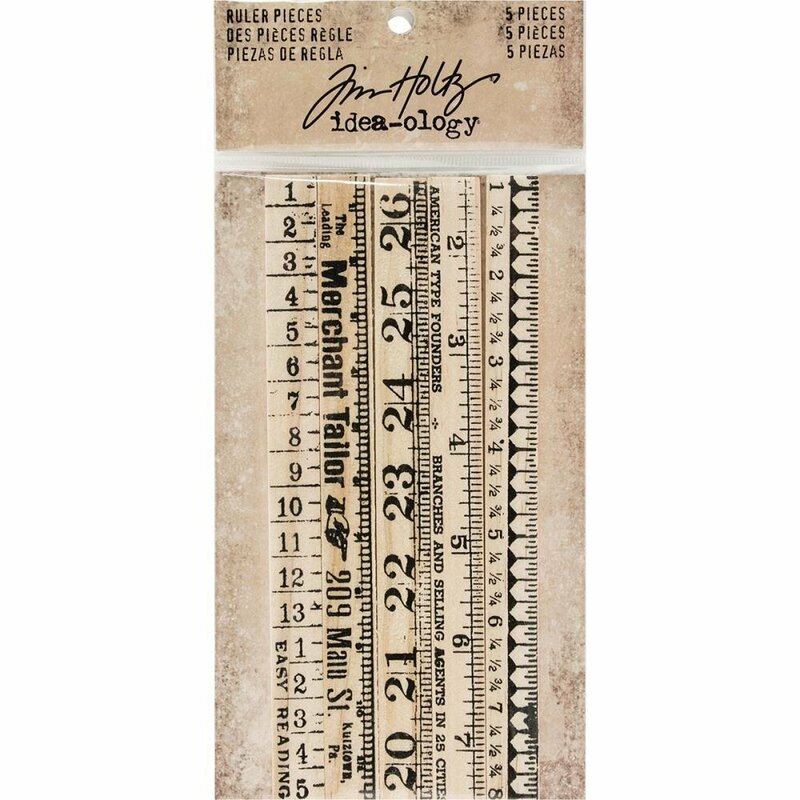 Tim Holtz-Idea Ology Wooden Ruler Pieces. The perfect addition to your next mixed media or craft project! This package contains five 6x1/2 inch wooden ruler pieces.